programs adopt the approach of demonstrating what is happening, rather than using the computer to do the work for the students (and hide the understanding). The programs demonstrate normal probability plots, overfi tting of models and generalized linear models. Although the implementation is in Matlab, any suitable language is appropriate. Dunn, P.K. (2003). Understanding Statistics Using Computer Demonstrations. 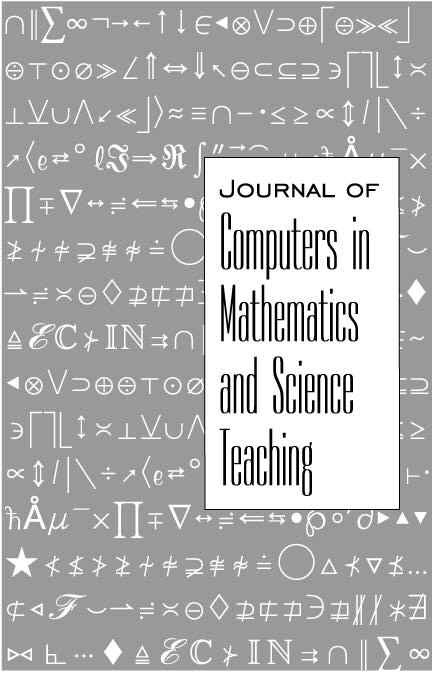 Journal of Computers in Mathematics and Science Teaching, 22 (3), 261-281. Norfolk, VA: Association for the Advancement of Computing in Education (AACE). Retrieved April 22, 2019 from https://www.learntechlib.org/primary/p/14642/. Atkinson, A.C. (1985). Plots, transformations and regression: An introduction to graphical methods of diagnostic regression analysis. Oxford: Clarendon Press. Borse, G.J. (1997). Numerical methods with Matlab: a resource for scientists and engineers. Boston: PWS Publishing. Bratton, George N. (1999). The role of technology in introductory statistics classes. The Mathematics Teacher, 92(8), 666–669. Carroll, R.J., & Ruppert, D. (1988). Transformation and weighting in regression. New York: Chapman and Hall. Colgan, L. (2000). MATLAB in ﬁ rst-year engineering mathematics. International Journal of Mathematical Education in Science and Technology, 31(1), 15–26. Cook, R.D., & Weisberg, S. (1994). An introduction to regression graphics. New York: Wiley. Cretchley, P., Harman, C., Ellerton, N., & Fogarty, G. (1999). Computation, exploration, visualisation: Reaction to Matlab in ﬁ rst-year mathematics. In W. Spunde, R. Hubbard& P. Cretchley (Eds. ), Proceedings of Delta ‘99: Australian Symposium on Modern Undergraduate Mathematics (pp. 81–86). Devroye, L. (1986). Non-uniform random variate generation. New York: Springer-Verlag. Dunn, P.K. (1999). Three tools for interactively visualizing some distribution theory concepts. The American Statistician, 53(2), 137–139. Dunn, P.K., & Harman, C. (2000). Calculus demonstrations using Matlab. International Journal of Mathematical Education in Science and Technology, 33(4), 584–595. Fox, J. (1991). Regression diagnostics: An introduction. Sage University Paper Series on Quantitative Applications in the Social Sciences, 07–079, Newbury Park: Sage. Jennrich, R.I. (1995). An introduction to computational statistics. Englewood Cliffs, N.J.: Prentice-Hall. Krantz, S.G. (1998). How to teach mathematics. Providence R.I.: American Mathematical Society. Marasinghe, M.G., Meeker, W.Q., Cook, D., & Shin, T.-S. (1996). Using graphics and simulation to teach statistical concepts. The American Statistician, 50(4), 342–351. McCullagh, P. And Nelder, J.A. (1989). Generalized linear models (2nd ed.). London: Chapman and Hall. Nelder, J.A., & Wedderburn, R.W.M. (1972). Generalized linear models. Journal of the Royal Statistical. Society Series A, 135(3), 370–384. Saunders, D.J. (1986). Computer graphics and animations for teaching probability and statistics. International Journal of Mathematical Education in Science and Technology, 17(5), 561–568. Weisberg, S. (1985). Applied linear regression. New York: Wiley. West, R.W., & Ogden, R.T. (1998). Interactive demonstrations for statistics on the WorldWide Web. Journal of Statistics Education, 6(3). Retreived April 24, 2003 from JSE archive: http://www.amstat.org/publications/jse/jse_archive.html.